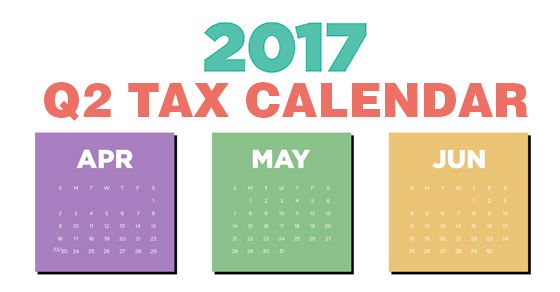 Here are some of the key tax-related deadlines affecting businesses and other employers during the second quarter of 2017. Keep in mind that this list isn’t all-inclusive, so there may be additional deadlines that apply to you. Contact Louis LoBue at l.lobue@twru.com or 225-926-1050 to ensure you’re meeting all applicable deadlines and to learn more about the filing requirements.